Truly a ONE-IN-A-MILLION property! This is one of the most unique lofts in St Louis you'll ever come across, loaded with modern finishes and ceilings soaring over 20 feet high. Formerly featured on HGTV, it is updated everywhere from top to bottom! Kitchen just completed with granite, gas range, breakfast bar, and large pantry. New furnace in 2013 with all the ductwork reconfigured to optimize heating and cooling. 100 yr old barn wood used throughout in the decor and to create all the custom sliding doors. Other features include private entrance, gas fireplace, new lighting throughout, custom bath renovations, and private laundry. HD projector and screen can stay. Back in the day this historic building was part of Auto Row, used to sell and service Model T's. 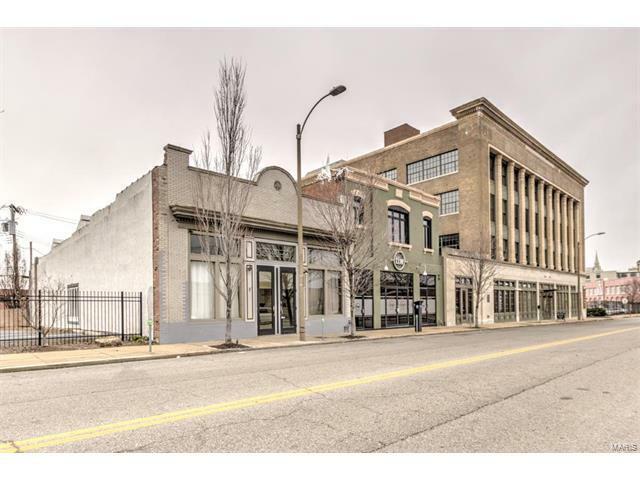 Location is perfect and within walking distance to SLU, Fox Theatre, and Chaifetz Arena. You also have restaurants like Urban Chestnut, Pappy's and Southern all within a block of your door! This is the ultimate urban lifestyle! Elementary School: Dunbar And Br.